Twenty Singapore companies figure in Forbes magazine`s annual list of the world`s biggest public companies, with China landing five of the top 10 spots for the second year in a row. 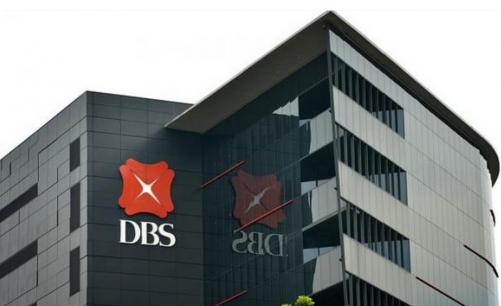 DBS Group (world ranking 268) tops the local companies in the 13th Annual Global 2000 list with assets worth US$332.6 billion, followed by OCBC (302) in second and Singtel (325) in third place. The Forbes Global 2000 is a comprehensive list of the world's largest, most powerful public companies, as measured by revenues, profits, assets and market value. It uses a composite score that weighs those four metrics equally, arguing that one barometer alone would present a biased and incomplete account. This year's Global 2000 companies hail from 61 countries and account for combined revenues of US$39 trillion, profits of US$3 trillion, with assets worth US$162 trillion, and a market value of US$48 trillion. China landed five of the top 10 spots for the second year in a row. Beyond the top 10, the US still leads the list with 579 companies. China (mainland and Hong Kong) has still has fewer than half that - 232 to be exact - but added more spots than any other country in the world, and surpassed Japan for the first time. For the first time also, China's four biggest banks own the top four spots. Industrial and Commercial Bank of China tops the list for a third consecutive year, while Bank of China jumped 5 spots to the No.4 spot, knocking down JP Morgan Chase. Berkshire Hathaway stays at the 5th place, making Warren Buffet's conglomerate the largest US company this year. The top five country-wise breakdown: US 579, China (mainland and Hong Kong) 232, Japan 218, Britain 94 and South Korea 66. While the U.S. and China charge ahead, their dominance pushed out other developed economies. With 218 companies, Japan slid to the third spot. While the United Kingdom kept its fourth place with 95 companies, Europe overall lost 20 spots to finish with 486 companies this year, falling further behind Asia (691) and North America (645) in continental rankings. France fell out of the top 5 countries, ceding its spot to South Korea. Thanks to a bull market, the total market value of Global 2000 companies grew 9 per cent year-over-year, the most among the four metrics. Also, a boom in the global IPO market added at least 20 notable newcomers to the list. In particular, Asian companies took the lead in raising capital, such as Alibaba, which has the world`s largest IPO ever. When it comes to the industries powering the world's business landscape, banks and diversified financials continue to dominate with 434 members, although they snagged 27 fewer spots than last year. Next up remains oil and gas companies with 136 companies, with a surprising increase of 11 spots given falling energy prices. With 121 spots, construction overtook utilities as the third leading industry this year, in part thanks to the more upbeat global economic outlook. The most notable gainers include Facebook, which jumped more than 200 ranks this year thanks to rising revenue and profits. American Airlines gained 500 spots as it benefitted from low oil prices. Starbucks rose more than 450 spots as its profit and market cap soared. And Monster Beverage led the energy drink industry growth to scale 400 spots higher than last year. One of the most high-profile losers, Brazil's oil giant Petrobras, dropped close to 400 spots amid accounting and corruption scandals. Other big losers: Liberty Media, Mattel, Target, eBay and Family Dollar.